Dr. Catherine Coumans of MiningWatch Canada sent her condolences to the bereaved family of the late Councilor Miguel “Myke” R. Magalang. My heart is incredibly heavy at this news of our untimely loss of Myke. I met Myke in 1988, when I first arrived in Marinduque with my husband. Over the course of more than a year on the island, and in the many years to follow, he became a dear friend, as well as a trusted and much appreciated source of wise counsel. Myke was one of the most intelligent and passionate people I knew. His research skills and ability to martial facts into persuasive texts for action were rare gifts, as was his ability to see the bigger picture and look far down the road, while remaining strategic in the day to day and ongoing struggle for justice in Marinduque. It breaks my heart that he will not be with us here, when we finally reach that goal. My thoughts and prayers go out to his wife, who he loved so deeply, and to his daughter who meant the world to him. Research Coordinator Catherine Coumans works with MiningWatch Canada's expert advisors, staff, and Directors to ensure the accuracy, focus and timeliness of their information resources and research efforts. Tasks include monitoring government and industry initiatives affecting MiningWatch interests, supporting participation of MiningWatch members and associates in consultations and negotiations, representing MiningWatch perspectives in meetings, presentations and negotiations as required, and preparing and/or co-ordinating written briefs and submissions as required. Her focus area is the Asia-Pacific region. Recalling the speech of Councilor Magalang: Quo Vadis, Elusive Justice? A Colloquium for local government functionaries on the alternative venues for the Marinduque Case versus Placer Dome Inc. and Barrick Gold Corporation sponsored by the Municipal Government of Boac. 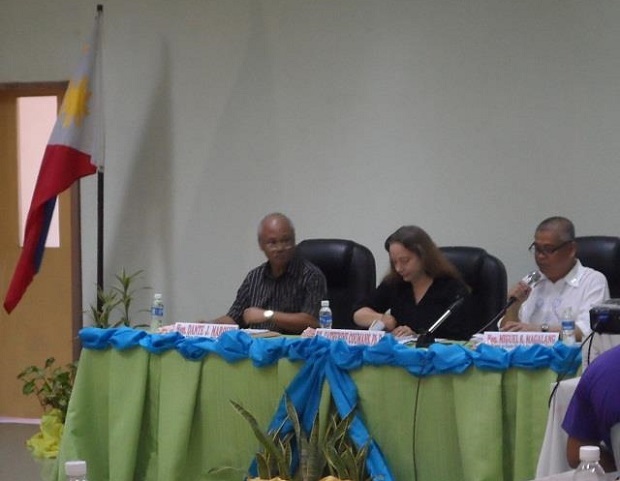 Legislative Session Hall, 2F New Municipal Government Building, Boac, Marinduque, August 13, 2014 (8:00am-01:00pm). In our search for environmental justice and fair compensation for all the damages wrought by the irresponsible mining operations to the people and environment of this Island which culminated in the March 23, 1996 Boac River Mining Disaster, there is a need for competent legal representation of the municipality of Boac and the people of Marinduque in general as the civil case against Placer Dome Inc. and Barrick Gold Corporation is pursued in other forum or venue – either the Philippines or Canada. In the midst of uncertainties and unpredictable direction the Nevada Case is proceeding, there is a need to fill in the gap for expert information if only to ensure that the people of Boac and Marinduque are not deprived of their right to access to information, participation, and justice. The colloquium, therefore, aims to provide venue for intelligent discussions towards collective action and commitments through the appreciation of: (a) the advantages or disadvantages of pursuing the case in Canada; (b) exploring the possibility of engaging pro bono lawyers from Canada; (c) analyzing the corporate social responsibilities of Canadian mining companies throughout the world; (d) strengthening local government functionaries’ roles on governance of the extractive industry; and, (e) deepening the collective commitment of local government officials to pursue justice for the victims of mining in the province. Salamat po sa lahat ng mga Punong Barangay na dumalo gayundin sa lahat ng kinatawan ng mga Pamahalaang Bayan ng Mogpog, Gasan at Buenavista. Magalang passed away on May 22, 2016 after spending a day in comatose. His remains lie in state in Boac, Marinduque. Posted by Romeo Mataac, Jr.